What do I mean by “doing your due diligence”? Let me illustrate with a story. I’m a car guy. I consider myself quite proficient in the world of mechanics, and I’ve gotten my fair share of bloody knuckles and resulting scars to prove it. Well, the other week the oil pressure gauge on my truck started randomly bouncing around. I immediately diagnosed the problem—the oil pressure sensor had gone bad. I was upset since it’s a pain to get to, and I really didn’t have the time or money for that right now. I began to calculate whether it would be better to take it in or just live with it until I had time to fix it myself. I decided I wanted it fixed. I talked with a friend and fellow backyard wrencher and asked him if he would be willing to help me out and fix it. He good-naturedly mocked me, “I’ll bet you just didn’t check your oil after it was changed.” I ribbed him back saying he was just trying to make me look bad. Thirty minutes later we popped the hood to see just how bad it was going to be and how much of the engine we had to disembowel to get to the sensor. Jokingly, I pulled the dipstick and stuck it in my buddies face. He turned to me and started laughing, “Umm, you might want to look at this.” The answer to the problem with my truck was right in front of my face. Apparently, when I had the oil changed recently, the oil was not filled to the proper level, and I was 4 quarts low! I went to my house, got some oil, filled it, and what do you know? The problem fixed itself. In technical ministry, many times we see something is wrong. It could be an equipment issue, an interpersonal issue, a communication issue, etc. 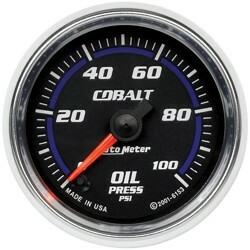 We have a gut reaction and never check to see if the “oil gauge” isn’t the issue. Here’s a real world example. Several years ago I got a panicked call on Sunday AM from a church where the week previous I had completed work on their system. The system would not turn on. Nothing they tried could get the system on. They had come to the conclusion that the power conditioner was faulty. While that could happen, I had installed a top-shelf unit and really didn’t think that was the issue. I asked their tech if he had a voltmeter, and if he could check the outlet that the unit was plugged into. They hemmed and hawed over it saying that was basic stuff, but eventually they tested the outlet and called me back. The wall outlet was reading almost 200 volts. The building’s transformer had blown outside and was sending high voltage to the whole building. In the end they lost an AC unit, a couple of computers, and some other equipment, but the power conditioner had saved their new audio system. Many times the problem is really as it seems. It really is bad; it really is big. But sometimes it’s the simple things that we overlook, the “rogue” mute button on the mixer, the bad battery in the wireless mic, our imperfect sinful selves getting in the way, or many other things that can be wrong. I can’t tell you how many times I’ve made a mistake and just thought, “Man, that was dumb,” like getting my sleeve caught on a fader while mixing and drastically adjusting the volume. So let’s all take a step back, take a deep breath, and “check the oil” as it were before jumping to conclusions. Let’s do our due diligence as we serve in technical ministry.